Made-in-Sacmi beverage solutions are soon to be showcased at CBST, the China International Beverage Exhibition on Science & Technology, to be held from 20th to 22nd November at the New International Expo Centre of Shanghai. 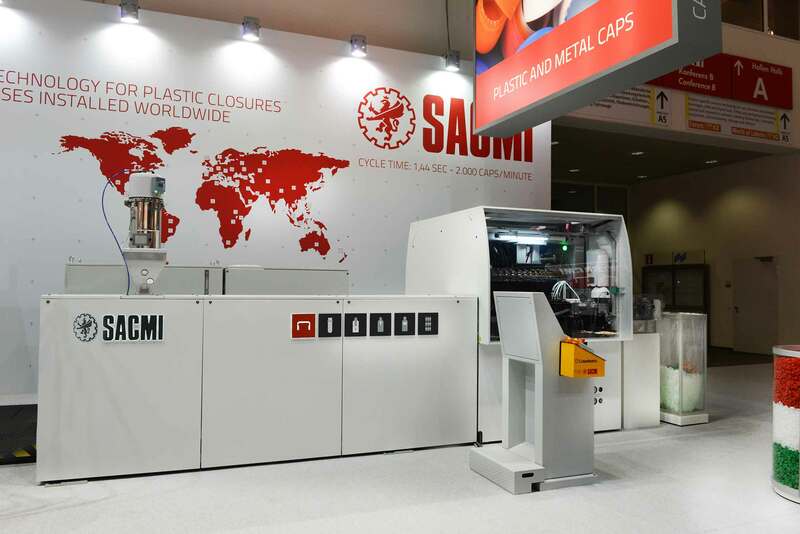 A key event for industry professionals operating in Asia, this exhibition will see Sacmi play a key role with an extensive 100 m2 stand (1D03, hall W1). 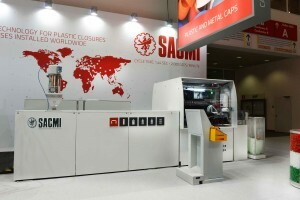 Visitors will have the opportunity to get a close look at the CCM 48 belonging to the range of high-performance presses for the manufacture of 1-piece caps designed by Sacmi Imola’s Closures&Containers Division. Currently the world’s most competitive mineral water cap manufacturing and hot/aseptic filling solution, this press stands out thanks to the fastest cycle time in the industry (i.e. outstanding productivity) and low consumption; extremely compact and modular, this machine includes CVS vision systems for in-line cap control designed by Sacmi’s Automation & Inspection System Division. The exhibited vision system is based on the new CVS3000 version, perfect for detecting and rejecting defects and monitoring the production process. It is also able to associate an inspection outcome with the cavity that made the cap, thus generating statistics that are valuable for correct line management and the implementation of properly timed preventive maintenance. China is a strategic market on account of outstanding internal dynamism and growth potential; Sacmi has been there for some time now with its dedicated Sacmi Nanhai branch, now a key reference point for the entire Asian area. 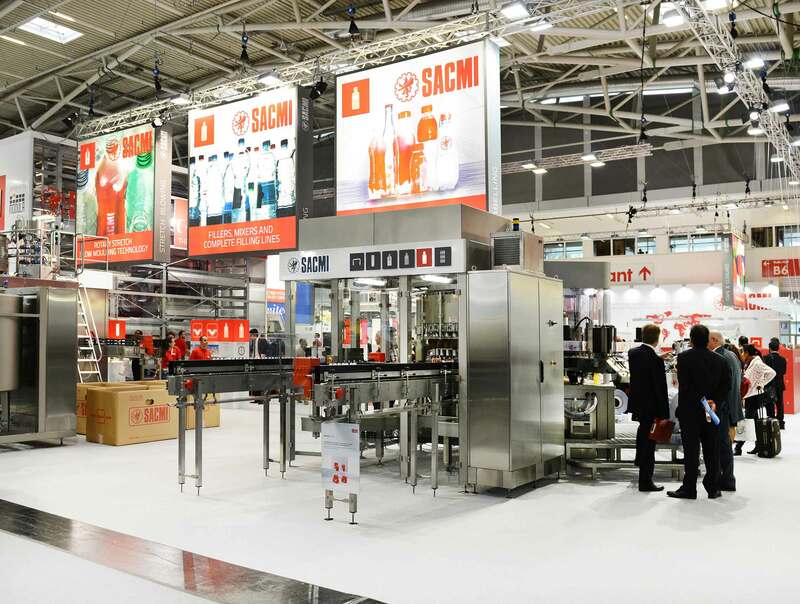 And it is for this very market, where the demand for high-productivity solutions is flanked by growing attention to quality, that the ARENA labeller was developed, produced directly at Sacmi Nanhai and specifically designed for the Chinese market. The very latest addition to the already wide range of Sacmi labellers employing roll-fed technology, the ARENA RF solution is specifically intended for the local industry, which for some time had been demanding a simple, high-performance labeller made directly in China. In addition to providing all the general advantages of roll-fed labelling, the ARENA RF is extremely flexible as it can handle labels made of different materials and different bottle types, with hourly output rates of up to 36,000 bottles/hour. Developed according to Sacmi tradition, with conscientious attention to component quality, design and engineering features that make all parts of the machine easily accessible, the ARENA RF also stands out on account of very low maintenance requirements, extremely short format changeover times, a user-friendly operator interface, an innovative self-cleaning labelling station and extremely low glue consumption. Without, of course, forgetting the enormous tax advantages that Chinese customers can enjoy by purchasing a machine made in China – but with quality and technology of European standard. 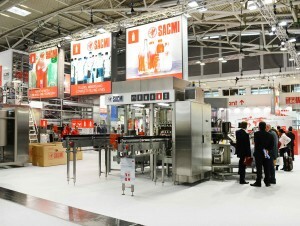 Yet another step forwards, then, for Sacmi, which continues – thanks also to a far-reaching sales and after-sales network spanning five continents – to strengthen its position as the sole provider to the beverage industry of “turnkey solutions” covering everything from bottle production to end-of-line solutions.